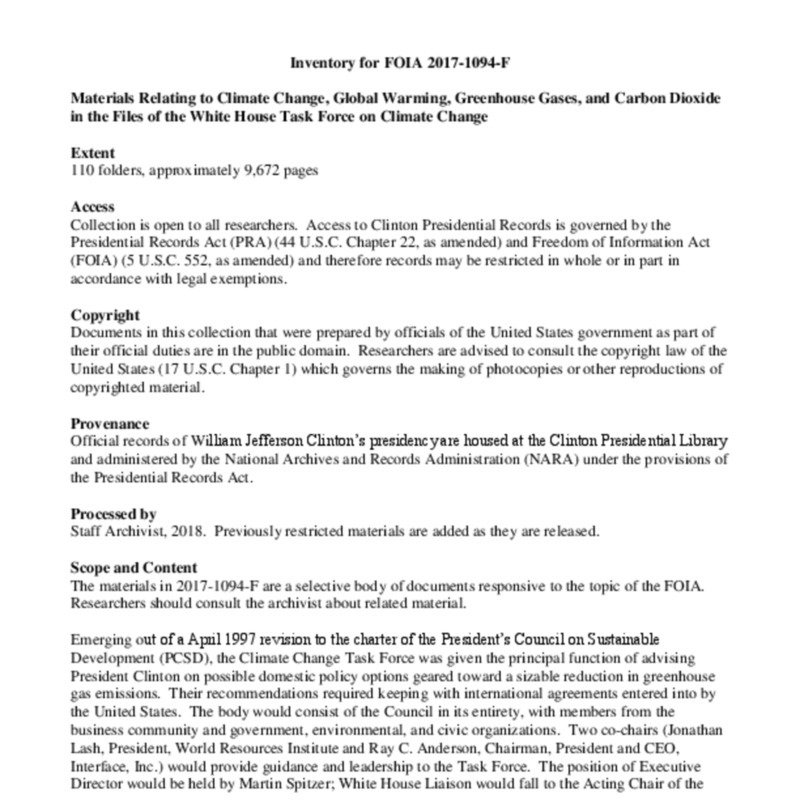 This collection consists of material from the White House Task Force on Climate Change (WHTFCC). It contains reports, publications, memoranda, speeches, talking points, press releases, and emails. Topics covered by the records include global warming, greenhouse gases, carbon dioxide emissions, clean coal, Earth Day 2000, and climate change meetings that took place in Buenos Aires and The Hague.